The pre-moistened wipes will gently cleanse, moisturise, deodorise and treat the skin, leaving it feeling soft, fresh and smooth. Cleanse - mild surfactants will remove soiling without the drying effects of soap and water. Moisturise - urine and faeces can damage the skin, causing discomfort. These Incontinence Wipes contain a moisturiser that will leave the skin feeling fresh and smooth. Deodorise - These Incontinence Wipes will help neutralise odours on the skin to leave it feeling revitalised and fresh. Barrier Protection - a moisture barrier protects the skin from unwanted moisture, protecting the skin from irritation and discomfort. 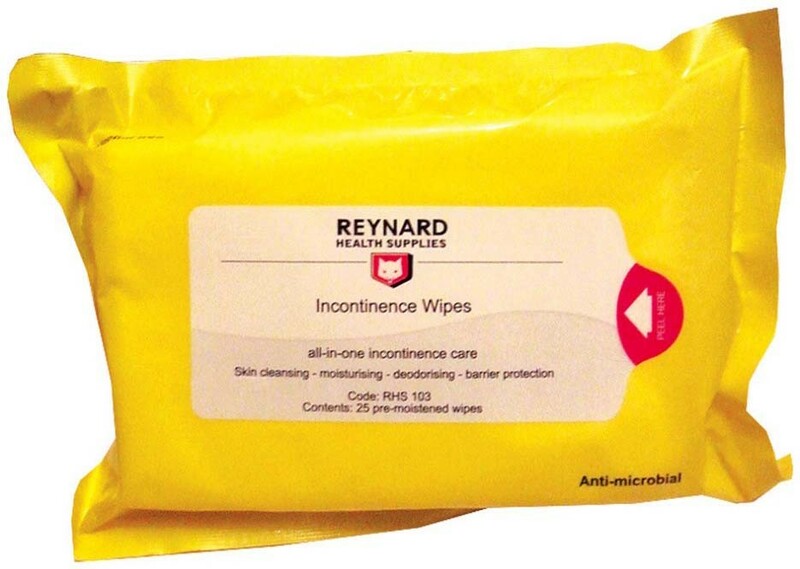 Infection control - These Incontinence Wipes with antibacterial properties will remove micro organisms which can cause infection and odours. The wipes have been tested and proven to be effective against MRSA, E-Coli, P.aeruginosa, Salmonella and Enterococcus.